A knowledgeable and experienced realtor is a great asset when buying or selling your home. The Re/Max organization, and our combined 63 years of real estate experience, enables us to provide you with comprehensive advice. Our geographic focus includes: the entire Quinte Region; Belleville, Trenton and Prince Edward County. Our specialties include both buyer and seller representation for new and resale homes, property appraisal, lot procurement, and development. Being located in eastern Ontario along the Hwy 401 corridor allows easy access to and from greater metropolitan areas as well as close proximity to the US border. A hospitable economic climate, housing affordability, and recreational activities that include boating, fishing, golfing and camping all make this a great place to live. 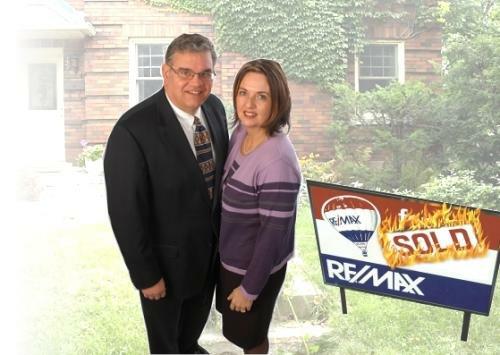 Selling Your Home: Our goal is to maximize your value and minimize your stress. A customized marketing plan will get the job done. Finding You a Home: Let us help you and your family find the right house in a neighbourhood with schools, shopping and other amenities to match your needs. New Home Sales: We can guide you through the new home process. We have sold hundreds of new homes in the Belleville and Trenton area, representing builders and buyers. Currently we are offering homes in Mercedes Meadows Belleville and Antonia Heights Frankford and a number of individual country lot locations. Residential Development: We are familiar with the planning and re-zoning process plus the requirements necessary for building, lot and subdivision creation.